What Happens To A Car That Is Paid In Full When I File A St. Louis Bankruptcy? In this kind of situation, it is very important to determine what the fair market value of your vehicle is. If there is a great deal of value in the car, then it could be at risk of being liquidated, depending on which chapter of St. Louis bankruptcy you file. But a good St. Louis bankruptcy attorney can make sure that there are no issues with you losing the car. There are two main types of consumer bankruptcies that people (and married couples) may file. In a St. Louis Chapter 7, there is a Trustee who looks very closely at all of your assets. The reason why the Trustee does this is because he or she is trying to determine whether or not your assets have a good deal of equity (or market value). Part of what you are responsible for when you file is to disclose exactly what you own. This would include bank accounts, cars, houses, stocks and bonds, and even potential claims for personal injury and worker’s compensation. Your St. Louis bankruptcy lawyer will then apply certain state exemptions to these assets in an attempt to keep them safe. For instance, the state of Missouri allows an individual filing for bankruptcy to exempt up to $3,000 of equity (this number jumps up to $6,000 for a married couple). So if you have a 2001 Ford Explorer (that is in only decent shape, and a lot of miles), then the fair market value of the automobile is going to be somewhere in the neighborhood of $2,500. In this scenario, there would be plenty of exemption funds to cover the value of the car (and your car would safe from the Trustee grabbing for liquidation). But let’s change the facts a bit: assume that instead of an older car with a ton of mileage, you own a 2011 Chevrolet Tahoe that is paid in full (in other words, with no loans or liens against the automobile). This kind of car would most likely have a fair market value that exceeds the amount of your exemptions. As a result, it is quite possible that your car would be at risk for liquidation by the Chapter 7 Trustee. But all is not lost. The other option in the legal world would be to file a St. Louis Chapter 13. Such a filing is described as a repayment plan over the course of three (3) to five (5) years (during which time you pay back certain debts, such as car loans, back child support, tax debt, and mortgage arrearage). In a Missouri Chapter 13, a St. Louis bankruptcy lawyer can protect your car from being liquidated, even if your automobile has a great deal of excess value. In the end, it is vitally important that you learn what exactly your options are. 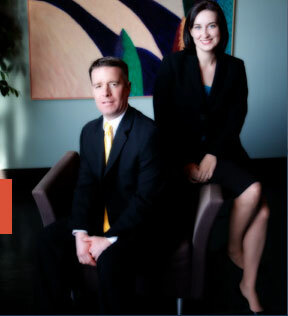 At Brinkman & Alter, LLC, we want to make sure that you fully understand each chapter of bankruptcy, that all of your questions are answered, and that you are put on the road towards financial freedom.